When Caroline flees Chicago following the brutal murder of her husband, the last thing she expects or wants is to fall for Matt Carlson, a builder with strong roots in the small town of Mountainview, Tennessee. She needs to focus on raising her six-year-old daughter and protecting both their hearts from ever being shattered again. Matt is struggling with issues of his own...guilt over the death of his wife and the responsibility of raising a cynical teenaged nephew who is dropped on his doorstep, abandoned by Matt's alcoholic sister. He doesn't have time to fall in love, yet he can't help being drawn to the woman who is ready to defend her home and her daughter with nothing more than a feisty attitude and a broom handle. Can Matt's help and friendship convince Caroline to trust again...and when Caroline's daughter goes missing, will Matt be able to find the girl before it's too late and he loses everything he loves...again? Honeysuckle Cove Inn has been in the Brennan family for three generations. When Maggie Brennan’s parents retire, they call her home to Honeysuckle Cove and hand over the reins of the historical inn. If Maggie successfully maintains the business over the course of a year, the inn is hers forever. Maggie considers the timing perfect, with one exception—she finds her path entangled once again with that of Dylan O’Connor. Dylan has made a name for himself as the go-to guy when it comes to renovations and repairs in Honeysuckle Cove, and he’s waited nearly a decade for high school sweetheart Maggie Brennan to return home. But his handyman skills will be put to the test when it comes to rebuilding the bridge between Maggie’s heart and his, and designing a future…together. Maggie Brennan tossed her overnight bag across one shoulder and slammed the door of her SUV. Her belly skipped with excitement and a jumble of nerves as she turned toward Honeysuckle Cove Inn. Her breath caught at the Victorian structure perched along an undulating knoll, its sweeping wrap around porch and turn-of-the-century style back-dropped by sun-dappled breakers of Wanderlust Lake. Whitewashed wood encased panels of glass that shimmered beneath late afternoon light, while a regal spire soared three stories to kiss the winter sky. The rooms inside were filled with countless legends and stories that had grown throughout the years. Maggie wondered how many more tales might be woven over the coming months. The thought sent her pulse into a barrel roll. Easy there, Maggie…pull it together. You can do this. A light breeze ruffled her hair and whispered beneath the collar of her cotton shirt as she made her way up the winding walk. 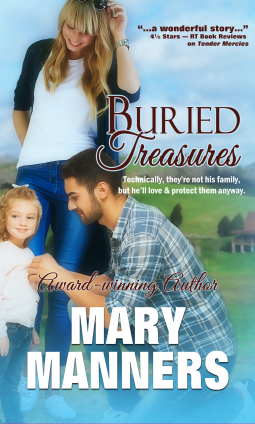 She shivered and gathered the overnight bag to her chest like a shield, wishing she’d thought to grab a sweater from one of the many suitcases and boxes piled in the SUV’s trunk and stacked across the backseat. She’d forgotten how cool January afternoons could be in East Tennessee. Not hard to do, since it had been several winters since she’d come home. But an unexpected phone call from her mother had changed everything. Maggie drew in a breath. With her sister Candice gone, the task of rescuing the family’s inn fell solely upon her shoulders. Her parents were right—she rarely shied from a challenge. But there had been one situation she’d run away from many moons ago. It remained the reason she hadn’t returned to the cove for more than a handful of days here and there since she’d graduated college and moved west. And on those occasions she’d popped in for a visit, she’d done her best to stay put along the grounds of the inn, enjoying time with her parents and the beauty of the landscape while avoiding any chance of running into the one person she wanted least to see—Dylan O’Connor. But the lure of the inn with all its intrigue and history…the many fond childhood memories that danced through her dreams when she lay her head against a pillow at night…made it impossible to stay gone any longer. 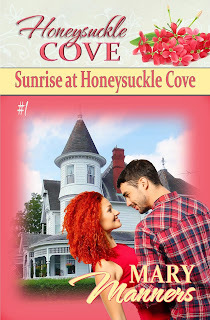 Despite the fact that living twenty-four/seven in a small town like Honeysuckle Cove would make it much harder to avoid Dylan, she considered her parents’ offer to rejuvenate and manage the inn a blessing in disguise. Who was she kidding? Considering recent disasters in both her work and personal life, their offer proved an answer to her prayers. Except for Dylan…and the still-raw memories of her sister Candice, as well. Maggie forced the thoughts from her mind before they had time to bloom. There was work to be done, and no time to waste energy on recent failures or regrets from the past. The scent of honeysuckle drifted, drawing Maggie’s attention to a tangle of flowerbeds surrounding the inn and gardens. Broken pavers lined what once served as a walkway to the rear patio and lakeshore beyond, while unseasonably heavy rains had washed away layers of mulch, leaving trenches of dirt in their wake. Maggie shook her head and heaved a sigh. Mom hadn’t been kidding when she said she and Dad had let things go. It would take a small army to put things to right. Not very promising, since she proved a lone soldier. Refusing to be deterred, she made a mental note to launch an attack on the mess as soon as she had her bearings. She’d have to get moving if she planned to stick to the rigid schedule she’d outlined. Her parents hadn’t booked a guest room in more than six months and the inn’s business account now straddled the fence between operating in the black and plunging into red. But Maggie planned to start taking reservations just as soon as she had things in order again. She’d revitalize one room at a time, and also open the dining area to local dinner patrons as soon as the revamped website and a workable menu—as well as adequate staff—were up and running. Which circled ’round to the fact that she’d need to hire a chef…and a landscaper…and possibly even a carpenter or handyman to help with simple—and not so simple—repairs. Again she considered Dylan. He was the best carpenter she knew. Too bad she couldn’t call on him now. It would make things so much easier. And so much more difficult. Maggie’s belly blanched. So many things to consider. The enormity of the tasks that faced her threatened to wash over her like a tsunami, taking her prisoner if she allowed them to. So she would keep her chin up and stand tall. She’d focus on first things first. The once-beautiful gardens tumbled with a graveyard of untended plants and tangled weeds. It wouldn’t do well to have visitors arrive to such unkempt grounds. And pulling weeds was a task she could manage on her own. She’d found digging in the dirt to be cathartic…at least when she was eight years old. Clean-up would take some elbow grease, but all was not lost. As she neared the porch, a closer look at the flower beds proved that buried beneath the weeds a flurry of honeysuckle bushes lay dormant, their sleepy buds curled against the cold, waiting patiently for spring. Maggie imagined after so many countless seasons drenched in blooms, the inn itself had taken on the sweet scent that seemed to linger like a spirit, drawing its warm, fruity bouquet into the inn’s wood and fabric. Even now, the inn sighed and whispered, welcoming Maggie home. The thought made her smile as she reached the front steps. Suddenly a deafening screech ripped the air. Maggie tripped and stumbled. She clutched the stair rail and waited a beat for her heart to jig back into rhythm. What on earth…? No way. The inn was supposed to be empty—especially from the likes of Dylan O’Connor. Maggie’s spine turned to steel as she climbed the porch steps and paused at the front door. She toed a worn welcome mat and found the keys her mother had tucked there waiting beneath. She bent, clutched them in her fist, and quickly realized there was no need for them as the door stood unlocked and more than slightly ajar. It was just like Dylan to waste good money letting a steady stream of frigid winter air into the house. She gave the door a shove, then dropped her bag in the hallway. Familiar scents of warm cedar, cinnamon-hazelnut coffee, and oak logs piled beside the fireplace conjured memories, while force of habit had her padding through the living room and past the library to a winding staircase that led to the third floor. She attacked the staircase, her heart thrumming with each footstep. When the stairway opened to the third-floor landing, she couldn’t believe her eyes. There he stood—Dylan O’Connor—leaned over a pair of sawhorses with his back to her as he waged battle with a circular saw against a length of two-by-four. The day had just become much, much more difficult. After the death of his parents, Jake Samuels has enough on his plate—including a fledgling church to lead and a mischievous younger brother to raise. The last thing he needs is a rambunctious woman to contend with. 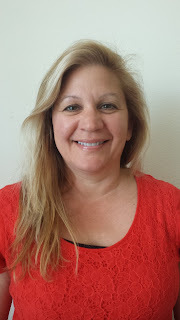 Carin O'Malley is dealing with the death of her brother and a new job as an English teacher at East Ridge Middle School where Corey Samuels reigns as King of Chaos. The last thing she needs is to fall in love with a man...especially a handsome and complicated preacher like Corey’s brother Jake. But when Corey's antics toss Carin and Jake together, the two must draw from God’s wisdom to find refuge in His perfect plan for them. She’d tried to kill him. Jake swallowed an oath and cut the motor on the mower he wrestled through overgrown September grass. His heart thundered like a runaway semi as his gaze locked on the woman’s startling green eyes, framed by a wisp of sun-kissed blonde hair. She was shorter than he was—quite a bit shorter—and willowy as a ribbon in the wind, but the strappy sandals hugging her feet added a bit of height. “Have you lost your mind?” The words tumbled out before Jake could get a hold on them. “I might have run over you, hacked off a few of your toes.” He quickly regretted his harsh tone when her smile wilted. 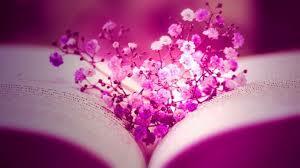 Her gaze lowered to her feet, and she wiggled her pink-polished toes. “But you didn’t, and I’m still in one piece. So…” She had a slight Southern accent, a soft lilting voice that he imagined could flash to a bite in an instant. “Yeah, that’s just my point.” Jake’s restraint was sorely tested by the smug gleam in her eye. His gaze grazed her crisp linen jacket over a flowered sundress that caressed a lithe figure. She looked graceful and cool under the blistering glare of the sun.